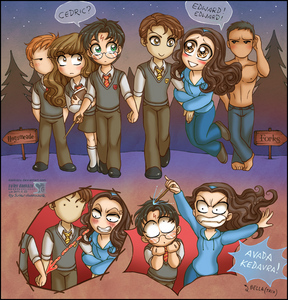 are there any عملی حکمت drawing for twilight and Harry Potter that آپ like? inspired سے طرف کی post from HP club. post any good عملی حکمت style for Hp یا T here.